AYAOTD? 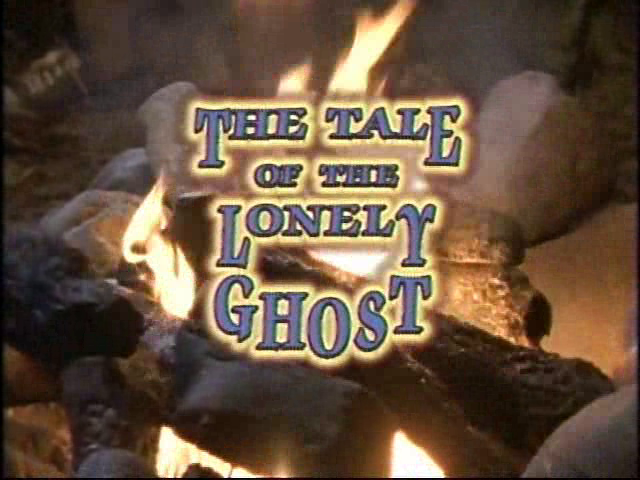 -- S01E03 -- "The Tale of the Lonely Ghost"
The tale kicks off with a shot of a creepy house that I absolutely adore. Oh, and good news: it's for sale! A car pulls up the house next door where Amanda and her Aunt Dottie get out. Amanda is set to spend a few weeks with her aunt and cousin. Aunt Dottie explains that she is actually the realtor on charge of selling the abandoned property -- been on the market for years. No one wants it...it's supposedly haunted. But let's talk about Amanda's cousin Beth for a moment. What a B-I-T-C-H. Seriously. She's apparently the leader of her group of friends, but it's surprising she has any friends at all. Ugh. 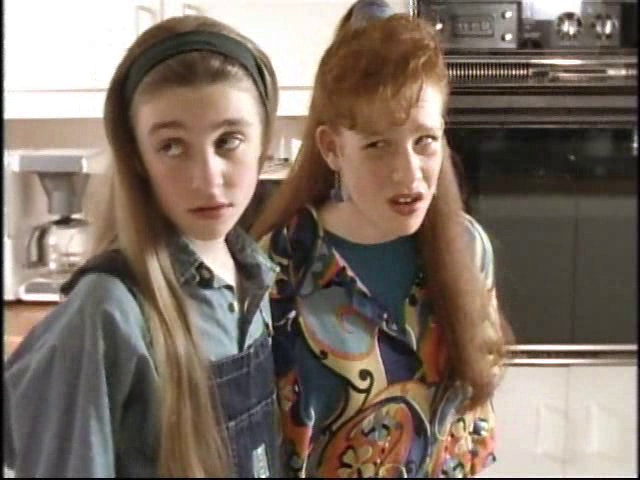 Amanda and Beth have to share a room during Amanda's stay. Beth says that if Amanda wants to hang out with her and her friends, then there's an initiation she needs to go through first. And that involves spending the night alone in the haunted house next door. Amanda soon runs into an older lady that lives in the house -- Beth's childhood nanny. She's still around because she has nowhere to go. Amanda notices that the old lady wears one half of a locket. So comes the night of the initiation. The girls send Amanda inside for the night. Inside the house, Amanda hears eerie noises of children playing. She ignores the sounds and moves upstairs to the bedroom. Now a little backstory: years ago a little girl was trapped in that very bedroom and couldn't get out. So she died. And now her spirit haunts the house. 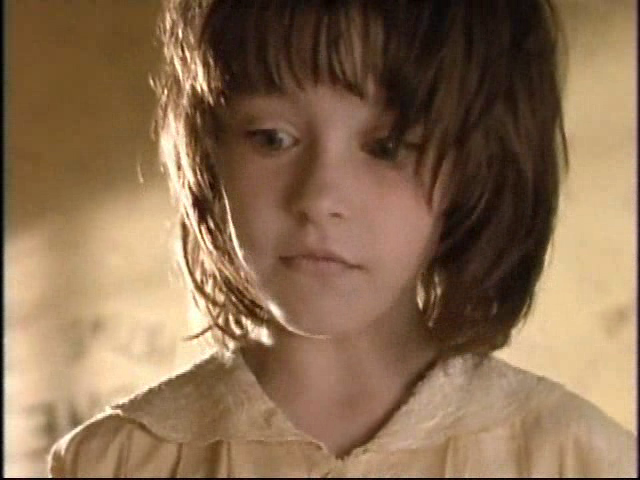 So Amanda heads to the little girl's bedroom, where the majority of ghastly encounters occur. 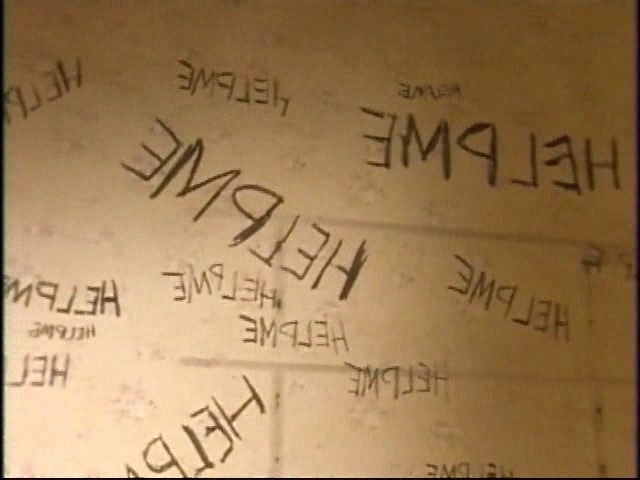 Amanda hears the sound of writing in the girl's room -- and when she spins around, she sees the words "HELP ME" written backwards on the wall. 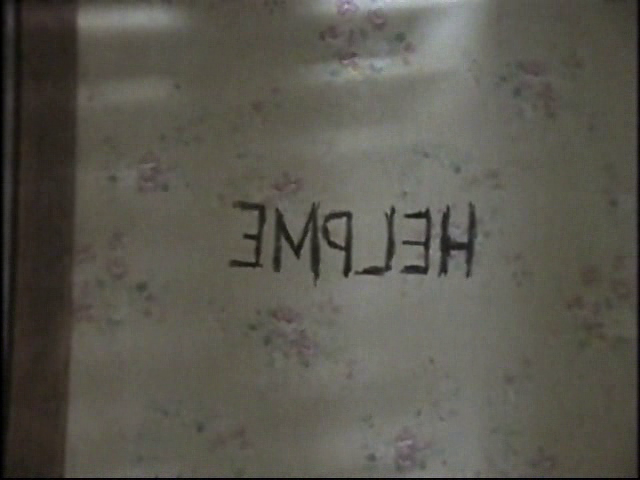 It all makes sense when Amanda looks in the mirror hanging on the closet door, and sees the words correctly. Curious, Amands walks to the mirror. Suddenly it changes. The reflection disappears, grows dark...and a haunting image of the little girl appears. Amanda cowers by the door as the ghost watches from the other side of the mirror. 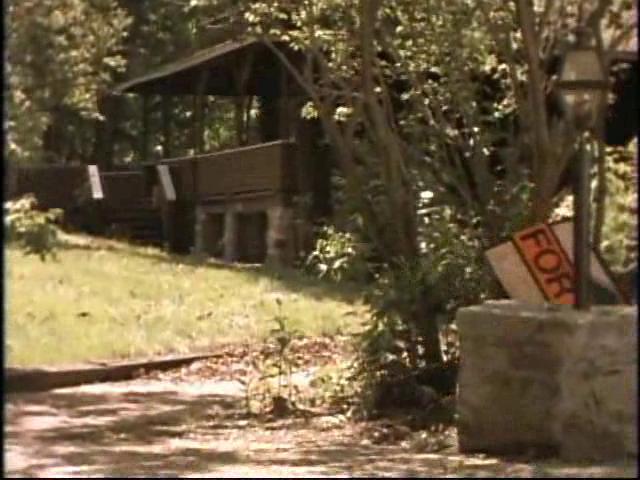 Wasting no time, Amanda books it to out of there and heads back to Aunt Dottie's house. Being the goodie-goodie that Amanda is, she told her Aunt Dottie everything. And, naturally, her and her cousin Beth are punished. Their punishment: go back to the house and clean the "HELP ME" scribble off the wall. Sounds simple enough, right? Just one problem. The scribble is now scribbles. And a lot of them. And what's stranger is that Beth is lured by a mysterious room in the mirror full of dolls -- she's instantly envious. Beth walks into the mirror, entering the other world. And just as Beth vanishes, the mysterious ghost girl exits, coming face to face with Amanda. Amanda screams and cowers at the foot of the door, after failing to open it. The ghost, who bares a striking resemblance to a young Danielle Harris (not her, I IMDb checked), hands Amanda a locket -- this one with a photo of a much younger Nanny. And finally, it all makes sense. Nanny lived in the house when the girl died...it's actually her daughter! Amanda races back next door to get Nanny, and luckily catches her right before she leaves town for good. After a bit of convincing and showing her the lost half of the locket, Nanny finally agrees to go in the old spook house. Once inside, Nanny is finally reunited with her daughter and agrees to join her on the other side. Pretty morbid conclusion, really. But hey, it was scary for SNICK, so I'll take it! Beth's friends come over to help Amanda free Beth from the mirror. And it's actually pretty comical. Turns out Beth is only stuck in the closet, but the others don't let her know this until after she's apologized for just about every mean thing she's ever done. So they finally open the door and Beth comes falling to the floor, humiliated. Good ending. As for the Midnight Society, David gets to walk Kristen home. Next episode: S01E04 -- "The Tale of the Twisted Claw"